Another year in Toronto, another concert from Shad. The Juno award-winning emcee has had a long history of T-Dot performances, in recent years doing shows that range from revered concert venues like the Danforth Music Hall and Massey Hall, to outdoor summer festivals in Dundas Square and FCP Park, and even small, intimate shows at the Mod Club. He’s had something for The 6 at least once a year consistently, although his musical output in terms of studio recordings has been much more scarce. Since 2013’s Flying Colours, Shad’s creative output has seen him spend time hosting CBC Radio’s Q, release a Pop-Rock album under the name Your Boy Tony Braxton, and host/narrate the award-winning documentary series Hip-Hop Evolution (season 2 now on Netflix). Some might say his setlists have started to get repetitive with it being five years since his last full-length Hip-Hop release, but that would change in 2018. Enter A Short Story About A War, Shad’s sixth studio album released this October, marking his return to rapping after his five-year journey exploring other avenues. Having interviewed most of Hip-Hop’s pioneers and legends while filming Hip-Hop Evolution, Shad seems completely reinvigorated with new inspiration, recording his most conceptually-focused album to date. 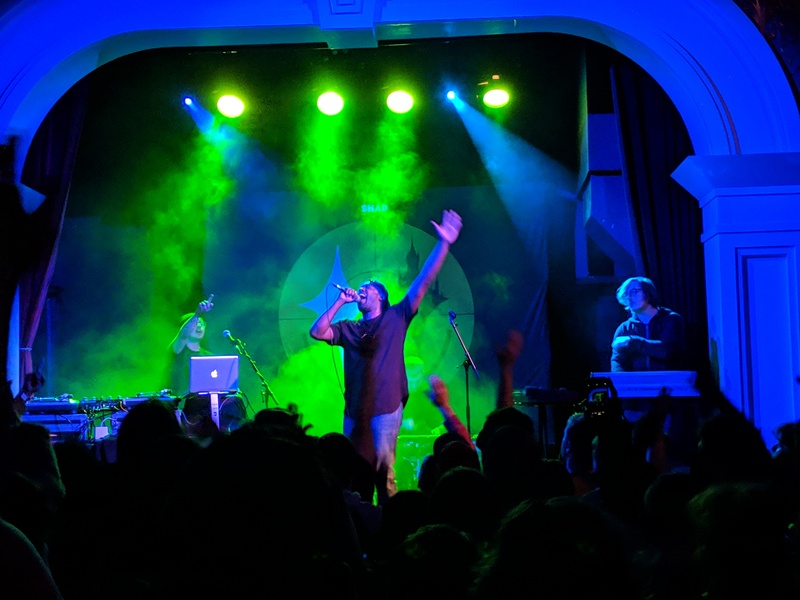 Unlike any of his previous releases, the new album sees Shad portraying various characters in his fictional story, leaving a lot for listeners to unpack lyrically. With the new material ready to be performed, Shad has gone on tour throughout Canada and the U.S., and would be wrapping up 2018 with two sold-out shows at Toronto’s Great Hall. Coinciding with the two shows would be a weekend-long art exhibition at The Tell on Richmond Street, further expanding the narrative of the album. Fans and artists alike would get to explore the concepts of fear and other themes from the album at the art exhibition, and would get to see other tidbits like the studio equipment used to record the album. After checking out the art exhibition on Richmond Street, we made our way down Queen Street for the concert, where things got started with a set by local artists Dom Dias and Just John. Curator of Blank Canvas Gallery (where we saw Nitty Scott perform a couple years ago), Just John took time between songs to speak on how he met Shad randomly at a bank and came to curating the art exhibition at The Tell. Laced with hype, trap-flavoured beats by Dom Dias on the ones and twos, Just John got the crowd pumped with a handful of songs. The next openers would be RnB duo Bonjay, consisting of Alanna Stuart on vocals and Ian Swain on production. They got the crowd grooving to their brand of smooth RnB, and Alanna especially shined with her wicked vocal range. Stunning the crowd with her vocals, she’d often have to directly remind them to move to the beats, at one point saying “if you can blink, do it!” Bonjay put on an awesome performance and definitely gained some new fans at this show. There would be a short break as the band got set up, along with DJ T.Lo, and it was time for Shad’s last performance of the year. Shad would begin his set by diving into the new material right away, performing his first verse from “Another Year” to start, and notably censoring out Demar DeRozan’s name from the lyrics now that he’s no longer a Raptor. While fellow Toronto emcee Eternia is almost always around to make a guest appearance at Shad’s concerts, she wasn’t there tonight to perform her verse on the song. It turned out that there would be no surprise guests at this show, but Shad rocked the stage just fine on his own, getting the crowd moving to the upbeat single “The Fool Pt 1 (Get It Got It Good).” He would continue on with “Intro: Sniper,” with DJ T.Lo replacing the short skit in the middle of the song with a highly appropriate clip from 2Pac’s 1992 MTV interview on greed, resonating with the same points the song makes about the business world. 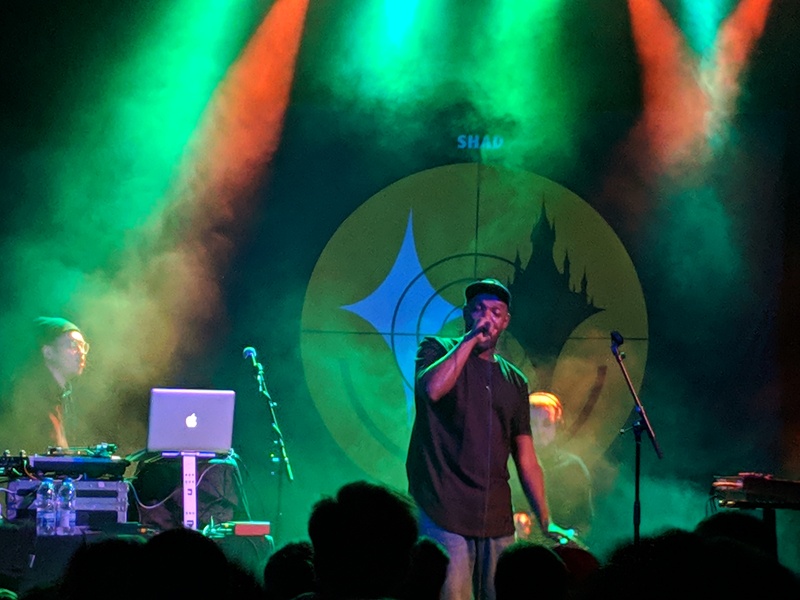 A Short Story About A War can be a bit of a gloomy album at times, and so Shad would sprinkle the songs between his more upbeat throwbacks to keep up the good energy. Going back to 2007’s The Old Prince, Shad rocked some classics like “I Don’t Like To” and “The Old Prince Still Lives At Home,” doing his usual routine where he gets the crowd to clap the beat for the last verse. Shad’s brilliance shined as he changed some lyrics in that last verse to acknowledge that his plan to have smart daughters is now becoming a reality, having recently welcomed a newborn baby girl (congrats!). The journey through Shad’s throwback catalogue would continue, as he got the crowd to wave their hands to “Keep Shining,” and kept spirits high with the party record “Fam Jam (Fe Sum Immigrins).” After one last throwback with the Lights-assisted “Remember To Remember,” Shad would do a few more new joints from his Short Story album, picking out songs towards the end of the project. He got heads nodding to the energetic “Peace/War,” and nailed his rap flows and sung vocals to perfection on “The Fool Pt 3 (Frame Of Mind).” He would close out his set with the last song on the album, the more optimistic “All I Need,” and of course the crowd chanted for an encore. Returning to the stage to give the crowd more, Shad would come back with his second verse from “Another Year,” letting the beat fade out as he delivered his lyrics like spoken word poetry. He would then crank the energy and get the crowd moving one last time as he performed a cover/remix of De La Soul’s 1996 classic “Stakes Is High,” which he originally did on The George Stroumboulopoulos Show on his recent promo run. It looks like interviewing all those legends did rub off on him a bit. 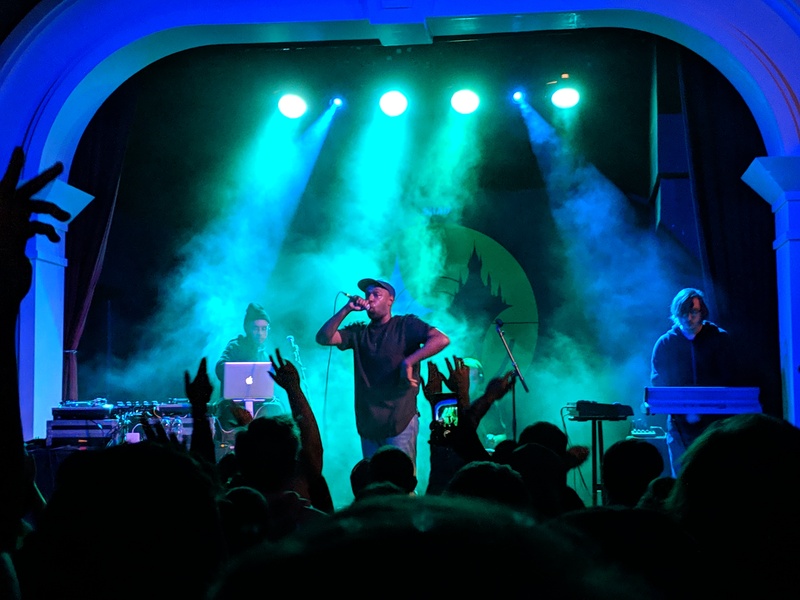 Shad’s last concert of his 2018 tour proved to be an awesome time. 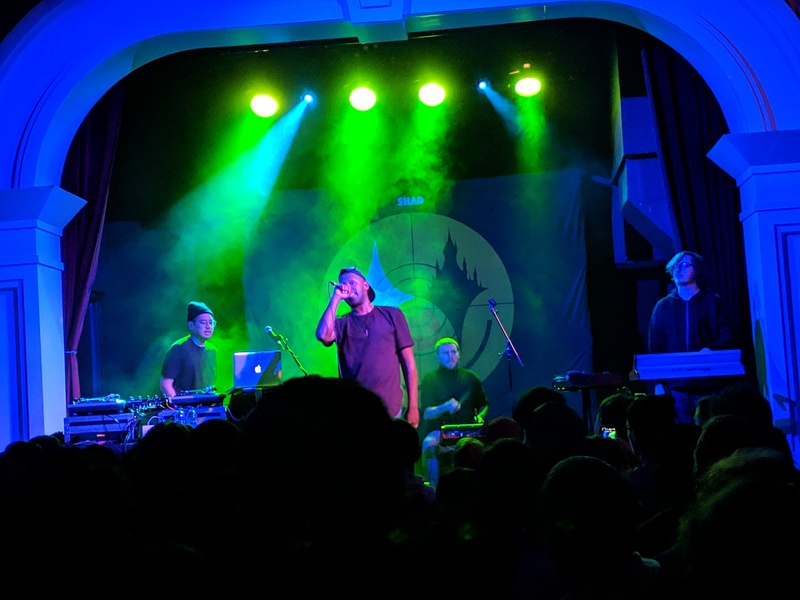 The Great Hall is an excellent venue with style and classiness that allowed Shad to capture the intimacy of his music, as his songs speak directly to the listener and make them think. The music from the new album also translates well to the stage, some of the songs being the most energized we’ve ever heard Shad vocally. The live show proved to be a great compliment to the fresh new album as we continue to unpack all the concepts and ideas tied to the lyrics. More fans will get to experience this in the new year, as Shad will pick up touring again in February, hitting the mid-west parts of the U.S. and Canada.